With an extensive career in real estate, auctions and government, Tom Zoucha is a great addition to the P.J. Morgan team. Tom served as Chief Deputy for the Douglas County Treasurer from 2005 to the arrival of the new administration in 2007. He began his real estate career by introducing the auction method of marketing real estate to a local real estate brokerage previous to his time at P.J. Morgan Real Estate. Now as an associate broker with P.J. Morgan Real Estate, Tom works in real estate auctions with more than 2,600 career auctions to his credit. 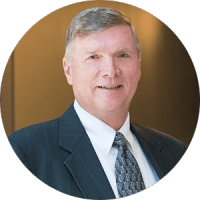 He also works with residential and commercial property sales and has been very active in his work with residential foreclosure properties. In addition, Tom also holds several special real estate accreditations including a Broker Price Opinion Certification. Tom is a graduate of the University of Nebraska, the Missouri Auction School and the World Wide College of Auctioneering. He also studied real estate at McMahon School of Real Estate and the Randall School of Real Estate. Thank you Tom and Eric for job well done. You guys went to work and got it sold. Tom and Eric were easy and straight forward. Good job!